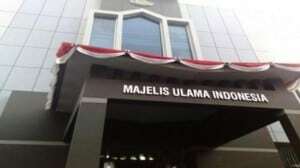 The Central Information Commission (KIP) has called on the Indonesian Ulema Council (MUI) to apply transparency and provide access to its financial reports as the organization receives funds from the government and the public, the commission chairman said on Monday. The MUI is considered a public body, according to the 2008 Public Information Transparency Law, KIP chairman Abdulhamid Dipopramono said. Although it is not a government body, the MUI receives funds from the state budget and from several ministries for programs. “The MUI also receives funds from the public for issuing halal certificates for varied products, not only food, beverages and cosmetics but also goods and services,” Abdulhamid said on Monday as quoted by tribunnews.com. Public bodies are not only executive, legislative and judicial bodies but also other agencies or non-governmental organizations whose funds come from the state budget, regional budgets and public or foreign donations. “A public body must comply with the KIP Law, which includes an obligation to inform the public on its programs and financial reports as well as apply good governance management such as being transparent, effective, efficient and accountable,” he said. The commission noted that the MUI had never issued regular public reports on its programs and financial statements. The public did not know about the MUI’s financial condition, the funds it received or its expenses, Abdulhamid said. Therefore, he found it was normal that questions arose recently on the MUI as it planned to expand its certification to more fields. There was no transparent information on the MUI’s official website, he added, though it would be important if the mass organization wanted to issue certificates on all sectors of people’s lives like food, beverages, cosmetics, medicine, clothes and shoes, he said. When issuing halal certificates, the MUI charges goods producers and restaurants. The more items requiring certification, the more money the MUI could rake in, Abdulhamid said, without giving further details on the cost of halal certification. “The money it receives must be accounted for in public. Because the money spent by the certified party is borne by consumers in the end,” he said. The KIP urged the public to be critical and ask for the financial reports of NGOs such as the MUI and other organizations. The commission would facilitate public reports if its inquires were not met with an adequate response. The MUI is the sole organization that issues halal certificates for the Muslim-majority population of Indonesia. The MUI not only issues certificates for food, beverages and cosmetics sold at retail shops, but also for commercial restaurants and fast-food chains. The organization also issues fatwas declaring things considered haram in Islam.